Bakersfield is a small agricultural city in southern California, where there was and still is a heavy Mexican influence. Thus Bakersfield OTR serves Mexican-influenced street fare with a focus on tacos, tequilas, and whiskeys. 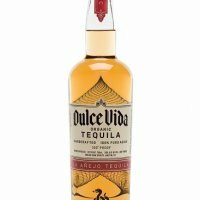 Bakersfield OTR proudly carries over 75 tequilas ranging from super premium to super affordable, and all 100% de Agave. The food is simple, street-driven, authentic Mexican. The music and feel is inspired by honky tonks around the country. They play everything from rock to country, blues to funky.